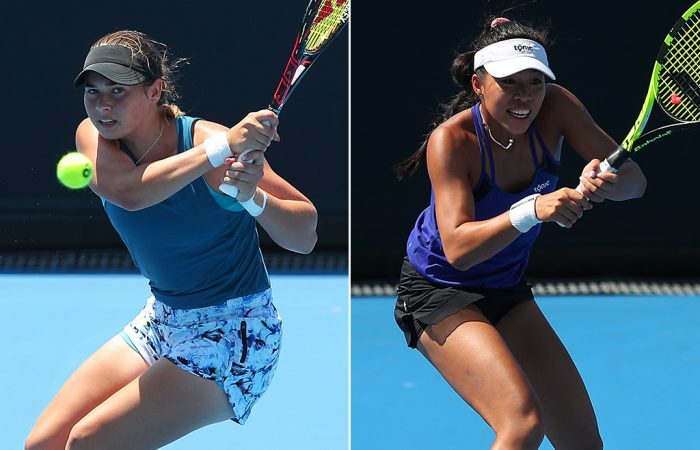 Young Australians Isabelle Wallace and Lizette Cabrera stunned higher-ranked opponents to reach the second round of qualifying at Australian Open 2019. 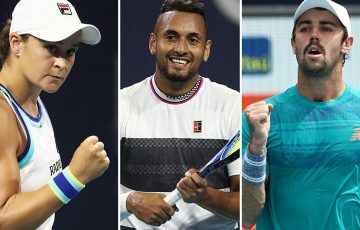 In a successful day for Australia, Wallace and Cabrera joined Thanasi Kokkinakis on the winner’s list after straight-sets wins on Tuesday. Wallace, a wildcard into the qualifying draw and currently ranked 406th, accounted for 2013 Wimbledon finalists Sabine Lisicki 7-6(5) 7-5. Lisicki is a former world No.12, but has struggled to find her form since knee surgery at the end of 2017, and suffered a further setback with a shoulder injury in mid 2018. 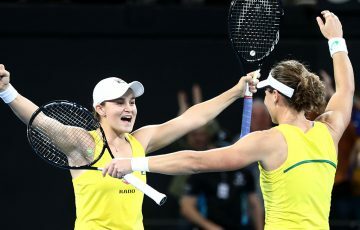 Nevertheless, the German is still ranked more than 200 places above Wallace, a consistent left-hander who won the Australian women’s wildcard play-off at Roland Garros in 2018. 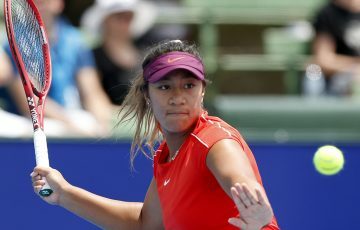 In the second round, Wallace will face Dutchwoman Richel Hogenkamp, who beat countrywoman and 14th seed Arantxa Rus in straight sets. Cabrera, meanwhile, thumped 31st seed Georgina Garcia-Perez 6-0 6-2 in just 45 minutes. 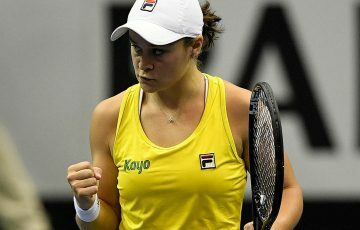 The win, which came over an opponent ranked 90 places higher, sets up a second-round meeting with Belgian Ysaline Bonaventure. Cabrera peaked at world No.134 in October 2017 after an impressive season, but has since slipped to No.234. 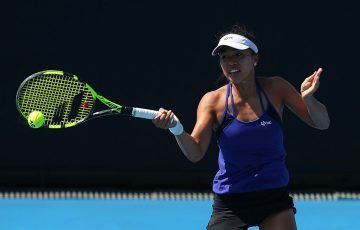 The 21-year-old Queenslander will be hoping to get her ranking heading northward again with a strong showing at Melbourne Park. 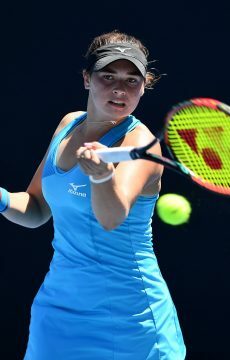 Another Aussie, Jaimee Fourlis, was unable to join her compatriots in the second round. 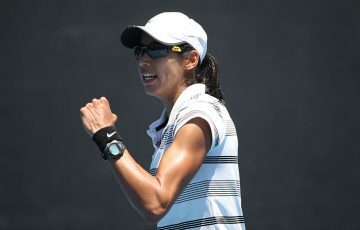 The Victorian teenager drew a tough first-round opponent in former world No.24 Christina McHale, and fell 6-4 6-2. 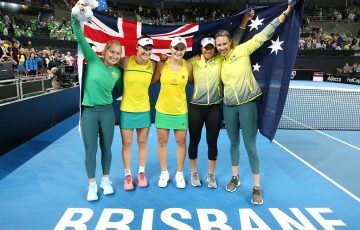 Nine Australian women – Arina Rodionova, Astra Sharma, Abbie Myers, Kaylah McPhee, Olivia Rogowska, Gabriella Da Silva-Fick, Maddison Inglis, Naiktha Bains, and Alexandra Bozovic – will take to the courts on Wednesday for their first-round qualifying matches. Inglis and Bains will go head-to-head on Court 8.